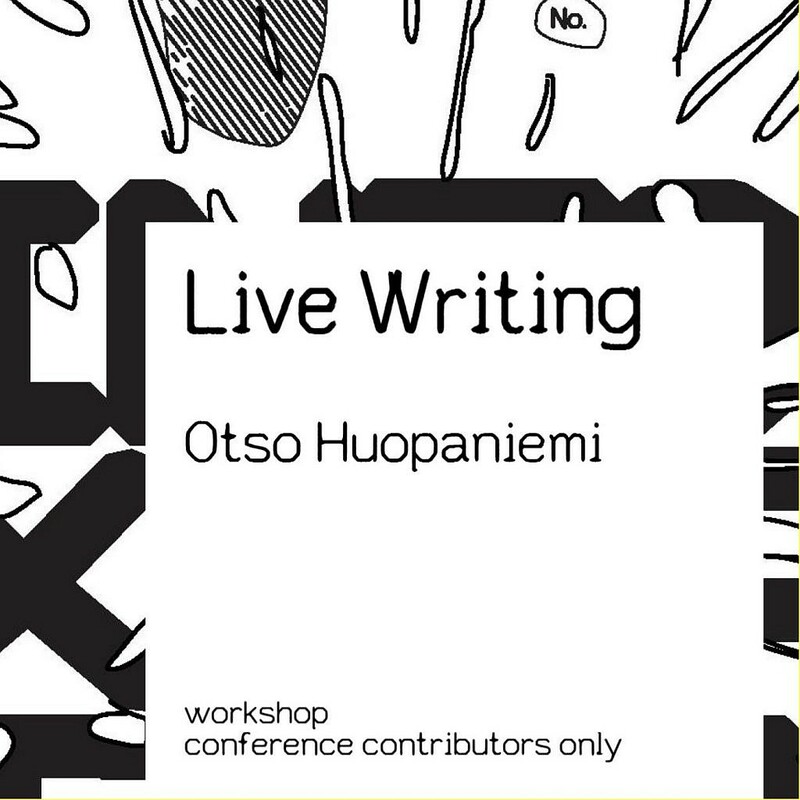 Otso Huopaniemi is giving a live writing workshop at the Performance Philosophy Biennial Intervention? Intoxication? on March 14th, 2019. Otso Huopaniemi is performing his solo work Live Writing Receptacle as part of the artistic program of the Moral Machines? Ethics and Politics of the Digital World conference, organized by the Helsinki Collegium for Advanced Studies, on March 6th, 2019. Otso Huopaniemi is hosting the CfAR Post Doc Art Translation event at the Theater Academy, Uniarts Helsinki, on March 5th, 2019. Invited guests include N. Katherine Hayles (University of California, Los Angeles), Kirsi Monni (Theater Academy, Uniarts Helsinki), Mika Elo (Academy of Fine Arts, Uniarts Helsinki), and Andre Bentley (Sibelius Academy, Uniarts Helsinki). Otso Huopaniemi gave his presentation “On the Presence of Algorithms in Writing and Performance” at the VES Beyond Presence Seminar, organized by the Degree Programs in Lighting and Sound Design at the Theater Academy, University of the Arts Helsinki, on 8 December 2018. Taideyliopiston Teatterikorkeakoulu on julkaissut artikkelikokoelman Dramaturgikirja: kaikki järjestyy aina. Teoksen ovat toimittaneet Katariina Numminen, Maria Kilpi ja Mari Hyrkkänen. The introductory talk of Otso Huopaniemi’s doctoral defense, which was held on April 6, 2018 at Uniarts Helsinki, Theater Academy, has been published as video and unedited transcript. The written part of Otso Huopaniemi’s doctoral research, Algorithmic Adaptations, has been published. MA Otso Huopaniemi’s doctoral research Algorithmic Adaptations – Algoritmiset adaptaatiot will be presented for public examination on Friday, 6 April 2018 at 12 o’clock at Uniarts Helsinki’s Theatre Academy (Auditorium 1, Haapaniemenkatu 6, Helsinki, Finland). The examination is in Finnish and English. The newest issue of the open-access journal Amodern, entitled “Translation-Machination” and edited by Rita Raley and Christine Mitchell, is all about translation and media. Included are an interview with Otso Huopaniemi and plenty of photos from (love.abz)3, performed in Theaterdiscounter, Berlin, in 2015. Otso Huopaniemi will give a live writing workshop at the Di­gital Hu­man­it­ies in the Nor­dic Coun­tries Conference on 7 March 2018. Otso Huopaniemi’s article “Writing Through Contemporary Self-Translation: A Constructive Technogenetic Intervention” has been published by transcript Verlag in Digital Media and Textuality – From Creation to Archiving (ed. Daniela Côrtes Maduro). Performed by one human and a number of algorithms, Live Writing Receptacle parasitizes the Kiasma Museum lobby. It reflects the surrounding events and acts as a living receiver that turns what it sees, hears, and otherwise senses into improvised text. 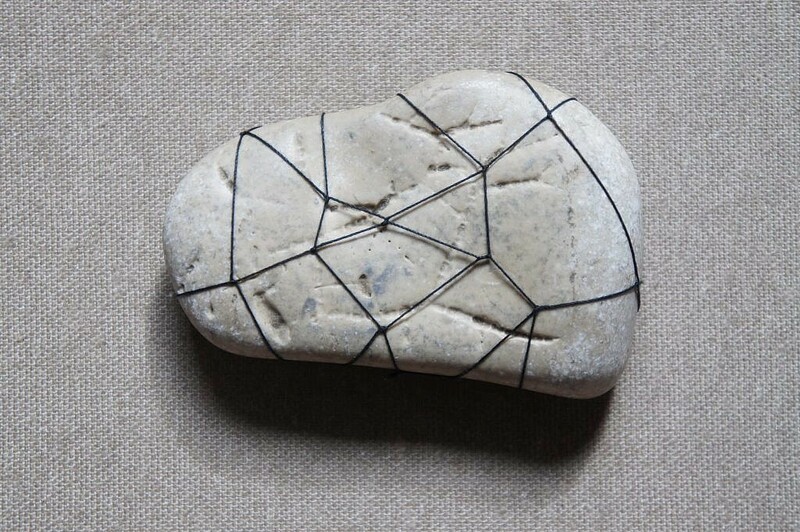 LWR is a poetic observatory that leaves traces of the possibility of this interaction. Live Writing Receptacle on inhimillisen esiintyjän ja usean algoritmin esittämä teos, joka loisii Kiasman aulassa. Se heijastelee ympäröiviä tapahtumia ja toimii elävänä vastaanottimena, joka kääntää näkemänsä, kuulemansa ja muuten aistimansa improvisoiduksi tekstiksi. LWR on runollinen havaintoasema, joka jättää jälkiä tämän vuorovaikutuksen mahdollisuudesta. “Teos tuntuu mukavalta seurapeliltä, jollaiseen ei aikuisilla yleensä liikene aikaa”, Maria Säkö kirjoittaa. Otso Huopaniemi ja Pilvari Pirtola esittävät näytteen Koneen mieli -esityksestään huhtikuun 6. päivänä 2017 Digitaaliset karkulaiset -seminaarissa Kiasmassa. Otso Huopaniemi and Pilvari Pirtola perform an excerpt of their upcoming production Mind Machine at the Digital Escapees Seminar in Kiasma, Helsinki, on April 6, 2017. No longer do we simply try to enhance ourselves and compensate for our shortcomings through technology, now we entangle ourselves ever more firmly in the technical systems we build. Machines read and write us just as we read and write them. In our profoundly algorithmic culture, what is the degree of our cyborgness is the question, not whether we are cyborgs or not. 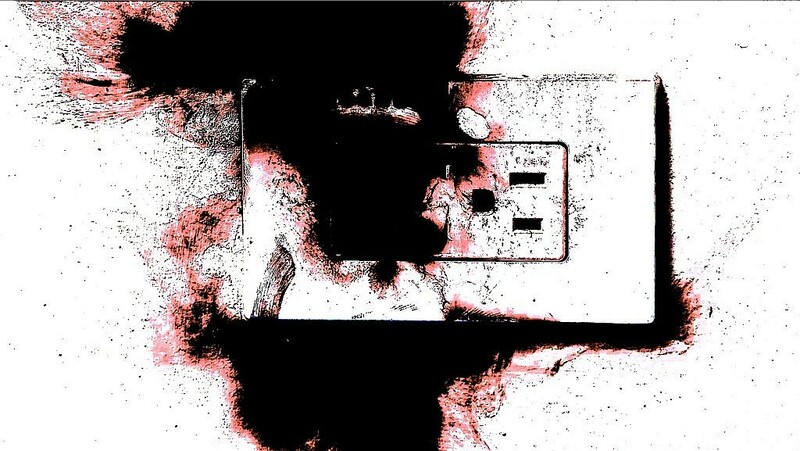 In this multidisciplinary performance, words uttered in response to unspeakable videos are again translated into video and back in a seemingly endless intersemiotic loop. Mind Machine is after the traces of a human-technological experience in this automated world. Enää emme yritä vain kehittää itseämme ja paikata puutteitamme teknologian avulla, vaan rakennamme teknisiä järjestelmiä joiden syleilyyn kietoudumme entistä tiukemmin. Koneet kirjoittavat ja lukevat meitä yhtä lailla kuin me kirjoitamme ja luemme niitä. Läpikotaisin algoritmisoituneessa kulttuurissamme kysymys ei enää ole, olemmeko kyborgeja vai emme vaan mikä on kyborgiutemme aste. Tämän monialaisen esityksen näennäisen loppumattomassa luupissa sanoinkuvaamattomista videoista lausutut sanat kääntyvät taas videoiksi ja takaisin. Koneen mieli | Mind Machine on koneistuvan maailman inhimillis-teknisen kokemuksen jäljillä. Mind Machine, a collaboration between Otso Huopaniemi and Finnish visual artist Pilvari Pirtola, is part of the ARS17 contemporary art exhibition in Kiasma, Helsinki. Otso Huopaniemen ja Pilvari Pirtolan yhteistyö Koneen mieli on tulossa ARS17-nykytaidenäyttelyn ohjelmistoon Kiasma-teatteriin. Otso Huopaniemi gave a paper entitled “Algorithmic Adaptations – Writing with and against the Intelligent Machine” at the International Conference on Digital Media and Textuality, University of Bremen, on November 3rd, 2016. Kuka tai mikä on tämän subjekti tai henkilö? Missä tai mistä käsin henkilö puhuu? Missä ajassa tai ajallisessa ulottuvuudessa? Ja lopulta, mitä subjekti täällä tekee? Nämä kysymykset ovat ensimmäisinä kaaviossani. Kohtauksen kartoittaminen, se on ensimmäinen tehtävä, olipa subjekti-henkilö kuka tai mikä tahansa. Hän tai se voi hyvin olla toistaiseksi nimeämätön. Toiseen tai kolmanteen kohtaukseen mennessä nimeäminen on suoritettu. Sillä ehdotan, ehkäpä näytelmäkirjailijalta yllätyksettömästi, että nämä osiot mielletään kohtauksiksi. Kolmekymmentä kohtausta jaettu neljään näytökseen, joista ensimmäinen alkaa tästä. Kohtauksen kartoittaminen on itse asiassa tilanteen kartoittamista, koska tilanteesta kirjoitus alkaa. Kirjoitus on tilannesidonnaista, riippumatta siitä miten haluton se on myöntämään sitä. Joten – siirryttäessä syvemmälle kaavioon – on otettava huomioon jännitteet, konfliktit ja sisäiset ristiriidat, joita ilman subjekti-henkilöt harvoin eksistoivat. Jännite on tässä selvästi nähtävissä, kaavion täyttämiseen tarvittavien nimien puutteena. Ilman toimijoita kohtaus ei ole vielä alkanut. Ja ehkä tämä ensimmäinen kohtaus ei ala ollenkaan. Olemmehan vielä prologin turvallisessa tyyssijassa. Siksi meiltä viedään myös konfliktit ja sisäiset antagonismit, paitsi niin kuin ne ilmenevät tässä monologimaisessa mutta subjektittomassa tekstissä. (“Me”, otaksun, täytyy tarkoittaa tässä meitä tämän purkautumisen katsojia.) Valtasuhteiden muutokset, kaavion puolivälin yllä, tuovat meidät paitsi kohtauksen ydinalueille myös sen antiikkiseen rakenteeseen, Aristoteleen kolmikantaan alkuineen, keskikohtineen ja loppuineen. Ne vievät suurimman osan kaavion keskiosasta. Niiden alle jää enää dramaattisten henkilöiden alituisen tarvitsevuuden jäsentely, suorasukaisten kysymysten muodossa. Mitä henkilöt haluavat toisiltaan? Miten he pyrkivät saamaan haluamansa? Mikä on ase, asenne, asema, ja asento? (Saraketta aselevolle ei ole.) Lopuksi kaavion viimeinen rivi on varattu näyttelemisen väitetysti vangitsevimpaan puoleen: henkilöiden ajatuksen ja teon väliseen eroon. Mitä he piilottavat, salaavat? Kuka tässä puhuu? Näillä draaman kyseenalaisilla parametreilla minä aloitan. Who or what is the subject or character here? Where or from where is the character speaking? In what time or temporal dimension? And ultimately, what is the subject doing here? These are the questions on the top of my chart. Charting the scene, this is the first task, no matter who or what the subject-character is. S/he or it can well remain unnamed for now. By the second or third scene, naming will have been performed. For I propose to think of these sections as, perhaps unsurprisingly for a playwright, scenes. Thirty scenes divided into four acts, the first of which starts here. Charting the scene is, in fact, charting the situation, as situation is where writing commences. Writing is situational, no matter how reluctant it is to admit it. So one must consider, moving further into the chart, tensions, conflicts, and inner conflicts, all things subject-characters are rarely without. The tension here is plain to see, as lack of names to fill this chart. Without actors, the scene has yet to begin. And perhaps this first scene will not begin at all. We are, after all, in the safe haven of the prologue. Therefore we will be deprived also of the conflicts and inner antagonisms, except as they play out here in this monological-yet-subjectless text. (We, I take it, has to denote we the spectators of this unraveling.) Shifts in power relationships, or simply power shifts, positioned in the upper mid part of the chart, bring us not only to the core areas of the scene, but to its ancient structure, Aristoteles’ tripartite with its beginning, middle, and end. They occupy the centermost part of the chart. What remains below them is the structuring of the incessant neediness of dramatic characters, in the form of blunt questions. What do the characters want from each other? How do they go about getting what they desire? What is their weapon, attitude, position, and posture? (A column for cease-fire is nowhere to be found.) Finally, the very last line of the chart is reserved for what is purportedly the most compelling facet of acting: the difference between characters’ thought and action. What are they hiding, concealing? Who is speaking here? With these questionable parameters of drama I begin. Made using Wordle. Based on scene written by Josep García Caballero, Lee Meir, and Ania Nowak in love.abz (Theaterdiscounter, Berlin, 12.12.2013). Otso Huopaniemi’s research exposition Dear Rita has been published in the fifth edition of the online journal Ruukku – Studies in Artistic Research. Otso Huopaniemi’s exposition “Dear Rita” transforms the white page of the Research Catalogue platform into a stage upon which the conditions of communication and signification are anything but stable. The bottomless pit of the machinic dimension of writing emerges as a conversation contaminated by algorithmic processes. The context of this theme number, as well as the realization of the exposition within the parameters of the Research Catalogue platform, make Huopaniemi’s exposition a self-reflexive gesture that is of relevance in artistic research more broadly. Wer versucht, etwas im Internet übersetzen zu lassen, wundert sich oft, was dabei für ein Kauderwelsch herauskommt. Der Finne Otso Huopaniemi hat daraus eine Theaterperformance entwickelt: “(love.abz)³” ein Projekt, dass 13.11.-17.11.2015 im Theaterdiscounter zu sehen ist. Andrea Handels hat Otso Huopaniemi getroffen. Im goldenen Ticket in Roald Dahls Charlie and the Chocolate Factory da steht:” in your wildest dreams you could not imagine that such things could happen to you”. Ich habe das mal in einen Internetübersetzer eingegeben und das kommt dann raus: „In Ihren kühnsten Träumen, konnte man sich nicht vorstellen, dass solche Dinge, könnte Ihnen geschehen.“ Ok inhaltlich ist man dran. Der Rest? Naja ist doch so: fast immer kommt mehr oder weniger Kauderwelsch aus diesen Übersetzungsmaschinen. Das hat den Finnischen Theaterautor und Performer Otso Huopaniemi sehr inspiriert und zu einer Reihe von Performances gebracht. „Love.abz“ heißt das Projekt. Und das feiert heute in Berlin seine letzte Premiere. Andrea Handels ist den Ursprüngen des Projektes mal nachgegangen. Andrea Handels: Am Anfang stand eine unglückliche Liebesgeschichte. Seine unglückliche Liebesgeschichte. Otso Huopaniemi hatte an der Theaterakademie in Helsinki gelernt, den Stoff für seine Stücke aus seinem Leben zu schöpfen. Autobiographisches Schreiben. Und er hatte gerade eine große Enttäuschung erlebt. Otso Huopaniemi: es war ganz schwierig dieses Stück zu schreiben. Weil es war eigentlich ganz schmerzhaft diese ganze Geschichte und frustrierend. Andrea Handels: Eher spielerisch gab er den Text in ein Übersetzungsprogramm ein und war vom englischen Ergebnis frappiert. Otso Huopaniemi : Es hat nicht nur die Oberfläche von diesem Text verändert. Sondern: in Finnisch gibt es ein Pronomen, das ist geschlechtsneutral und google-Translate hat das gar nicht verstanden. Es ist so: es hat das in jeder Szene anders übersetzt. Und das hat die ganze Geschichte, dieses ganze Liebesdreieck verändert. So es waren gar nicht zwei Männer und eine Frau sondern manchmal drei Frauen oder drei Männer oder zwei Frauen und ein Mann. So es war irgendwas ganz anderes. Andrea Handels: Und dieses andere, eigene hat ihn inspiriert, mit den Übersetzungsprogrammen weiterzuarbeiten. Sie zu seinem Theaterthema zu machen. Inzwischen ist Otso Huopnaiemi 39 Jahre alt und Familienvater. Ein blasser, schmaler Mann. Er ist in New York und Helsinki aufgewachsen. Hat auch in beiden Städten studiert. Jetzt lebt er seit 4 Jahren in Berlin. Für einen der mit Sprache arbeitet eine Herausforderung. Otso Huopaniemi: Ich habe ein ganz schlechtes Verständnis für deutsche Grammatik. Aber ich verstehe ganz viel. Ich höre Radio viel. Und meine Freundin ist Deutsche und spricht Deutsch mit unserer Tochter. Es ist diese graue Zone irgendwie, wo wir verstehen und benutzen: Aber ich habe nicht die Kontrolle über die deutsche Sprache. Obwohl ich das benutze. Otso Huopaniemi: es ist heutzutage so schnell und ganz einfach verschiedene textuelle Prozeduren zu machen im Internet. Aber wir wissen manchmal eigentlich gar nicht, was eigentlich da passiert. Und die Maschine versteht Sprache ganz anders als wir. Aber ich glaube, für Theater und Performance gibt es dieses Loch zwischen Sinn und Sinnlosigkeit. Das ist ganz fruchtbar. Andrea Handels: Jetzt bei der Berliner Performance werden 10 Performer in 10 verschiedenen Sprachen agieren. Mehr als je zuvor. Dazu kommen fünf Netzstationen. Diese Aufführung soll Höhepunkt und zugleich Endpunkt von Otso Huopaniemis „love.abz“ Serie sein. Und wenn die abgespielt ist: was kommt dann? Otso Huopaniemi: ich habe die Idee für eine Solo Performance. Ich würde das gerne machen. Und das hat auch mit Schreiben und Text zu tun. Aber nur 1 Person auf der Bühne. Das ist wieder ein anderer Blick auf die gleichen Probleme. Ich glaube ich muss immer mit Sprachen und Text arbeiten. Aber in verschiedenen Konstellationen und Kontexten. Das ist meine Arbeit. Und ich habe ziemlich viel zu tun. Spiel mit Sprachen: Im Theaterdiscounter in Mitte kehren ab Freitag zehn Personen, fünf Computer, neun Mikrofone und 11 Sprachen ein. Künstler aus vier Städten und zwei Kontinenten untersuchen unter der Leitung des finnischen Regisseurs Otso Huopaniemi in einer Performance die daraus entstehenden Sprachwirrnisse. Die finnische Schauspielerin Meri Koivisto und der spanische Tänzer und Choreograph Josep Caballero Garcia erzählen im Studio von einer künstlerischen Herausforderung. Many thanks to Kris Borgerink for the design! love.abz has been included in Ten Years PRELUDE, a new publication that documents the ten years of the PRELUDE Festival. Happy to be a part of it! “Otso Huopaniemi, a Finnish playwright, saw [playing with Google Translate] as an opportunity for artistic expression. He ran the full original Finnish text of his play An ABZ Of Love through Google Translate, rendering it in English, then transformed the output back into Finnish. Then, he translated the results into English once more, and back again, over and over. Die neue Performance von Otso Huopaniemi & Co., beginnt im Persönlichen und führt durch die Welt der Technologie und wieder zurück. Mit Spracherkennungs- und Übersetzungstechnologie erforscht (love.abz)3 das Menschliche in der Maschine und das Maschinelle im Menschen. Ausgehend von persönlichen Textfragmenten der Performer aus dem Probenprozess geht die Performance der Frage nach, was in einem fortlaufenden Übersetzungs- und Übertragungsprozess vom „Ursprungstext“ und vom „Klang der Stimme“ noch übrig bleibt. Zehn Performer aus vier Städten auf zwei Kontinenten bringen in (love.abz)3 fünf verschiedene Muttersprachen auf die Bühne. Zählt man die Sprache des Computers mit, sind es sogar sechs. Die Performance lädt ein, den Raum nach Belieben zu betreten und zu verlassen, während die Performer ihr kontinuierliches, teils humorvolles Spiel mit den Maschinen fortführen, die ihrerseits lautstärker und unberechenbarer werden, wenn die Datenverarbeitung an ihre Leistungsgrenze stößt und diese vielleicht sogar überschreitet. A long journey from the personal to the technological and back culminates in (love.abz)3, a new performance piece by Otso Huopaniemi & Co. Using machine translation and speech recognition technology, the performance explores the human in the machine and the machinic in the human. Utilizing personal text fragments created by the performers in rehearsals, (love.abz)3 asks what remains of the “original” and of the “human voice” in a continuous live process of translation and transformation that all but erases its starting point. With ten performers from four cities on two continents, (love.abz)3 gives voice to five different native tongues – or rather six, as the computer has a language of its own. While the audience is free to roam in and out of the space, the performers continue their persistent, at times humoristic interaction with machines that become all the more vocal and unpredictable as their processors perform to the limit and perhaps beyond. Eine Produktion von Otso Huopaniemi in Kooperation mit dem Theaterdiscounter Berlin, gefördert durch die Kone Foundation (FIN), den Fonds Darstellende Künste e.V., den Regierenden Bürgermeister von Berlin – Senatskanzlei – Kulturelle Angelegenheiten, die finnische Kulturstiftung SKR und das Finnland-Institut in Deutschland. Does Internet make us more or less human? Curious to read what Jean-François Boisvenue (PhD Candidate, Comparative Literature at the University of Montreal, Canada) has to say about love.abz in his paper “Does Internet make us more or less human? The answer of some performing artworks.” Hope it becomes available online soon! cars are streaming with tears address scratch that SCRATCH the scratch me. Austin went to church that day for he had internal and external help me father is what he wanted. Oh you are you are you yes yes yes yes yes. Written by Catherine Copplestone, Emily Gleeson, Federico Rodriguez and Eeva Semerdjiev in Riverside Church, New York City. We’re thrilled to announce that the U.S.-based members of our team will perform love.abz in New York in April. The performance is part of the Performance, Technology, Translation event organized by the Barnard Center for Translation Studies and the Department of Theatre. The event will also feature panel presentations by Rita Raley and W. B. Worthen. Many thanks to Barnard College for the invitation and to the Kone Foundation and the Consulate General of Finland in New York for their generous support. Many thanks to the Finnish Cultural Foundation for its support of (love.abz)³ ! More information on the Autumn 2015 production coming soon. 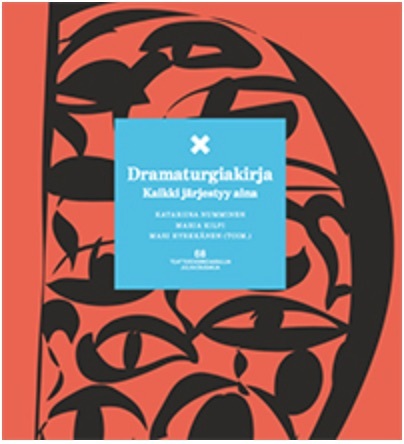 Otso Huopaniemi’s article TPs and IOAs in Supposed Disorder has been published by the Theatre Research Society of Finland in TEATTERI JA MEDIA(T) näyttämö & tutkimus 5 (Theater and Media – Stage and Research #5). Thanks to Kris Borgerink for designing the love.abz website! *although this is basically what is already happening in love.abz, only in a step-by-step, “manual” format — going first from speech recognition to machine translation and then to text-to-speech — in anticipation of the future device that will do all this at once. sagt Ostprinzessin »BZ-Blog über love.abz @ Theaterdiscounter. Maria Säkön arvio love.abz:n esityksistä Kiasma-teatterissa julkaistu Helsingin Sanomissa. love.abz. Finnische Premiere im Kiasma-Theater. Ausgangstext ist das Stück „ABZ der Liebe“, Übersetzung Google Translate. Konzept und Regie Otso Huopaniemi, Raum- und Lichtgestaltung Heikki Paasonen, Sounddesigner Joonas Pehsson. Am Anfang stand eine bittere Erfahrung. Vielleicht eine Trennung, eine Dreiecksgeschichte, ein Riss in der Freundschaft. Heraus kam eine Inszenierung mit dem Namen love.abz, deren Grundlage die Wechselwirkung von Mensch und Maschine bildet. Als Ausgangspunkt dient das von Otso Huopaniemi geschriebene Stück „ABZ der Liebe“. Sie wurde vorher in New York aufgeführt. In der Aufführung sprechen zwei Männer und eine Frau. Die Repliken wurden von Google Translate auf finnisch und englisch übersetzt. Auf der Bühne des Kiasma-Theaters sind drei Darsteller (Anna Maria Häkkinen, Leo Kirjonen und Alexander Komlosi), die Fortsetzungen des Stücktexts, der auf Bildschirme projiziert wird, improvisieren. Huopaniemi lässt das Publikum losen, in welcher Reihenfolge welche Szenen gespielt werden und Teemu Miettinen schreibt auf einen Bildschirm noch die innere Stimme des Erzählers. Die Spracherkennung des Computers wandelt Sprache in einen Text um, der voller Missverständnisse ist. Ein „enigmatischer Mensch“ wird jetzt ein „minimalistischer Mensch“. Der Name Zaida wird zum Ausdruck „side of“. Auch wenn die Fehler von einer Maschine kommen, sind in ihnen schnell sehr freudsche verborgene Bedeutungen zu sehen. Am Ende lesen die Computerstimmen eine Szene auf englisch und finnisch. Selbst ein kleiner Fehler kann den Tonfall der Szene ändern, und die Schauspieler fangen an, gegen die Maschinen zu kämpfen und ihnen nachzugeben. Gleichzeitig kommt einem die Aufführung schmerzlich bekannt vor. Die Menschen teilen ständig immer intimere Dinge offen im Netz, und sie verbreiten davon verschiedene Versionen im Cyberspace. Die Aufführung wird trotzdem nicht unverständlich. Lediglich die Intensität nimmt zum Ende hin zu. love.abz erinnert an die Art, wie der Pionier des britischen Avantgardetheaters Tim Etchell in seinen Arbeiten Aufführungskonventionen zerstört. Die zentralen Fragen des zeitgenössischen Tanzes und Theaters sind die Verbindung des Menschlichen und Nichtmenschlichen, des Menschen mit Natur und Maschine. love.abz gibt auf diese Diskussion seinen eigenen, urbanen Kommentar. Die Künstler trauen sich Kontrolle abzugeben, ihr Ego zurückzustecken und die Maschinen die Karten mischen zu lassen. Das Ergebnis ist gar kein Scheckensszenario, in dem die Maschinen den Menschen entwürdigen, sondern ein humorvoller Kampf ums Überleben. Otso Huopaniemen love.abz:tä koskeva essee “Mekaaninen sihteeri taluttaa satunnaista puhujaa” on julkaistu Jumalainen näytelmä – Dramaturgisia työkaluja -teoksessa (Like, Helsinki, 2012). Kiitokset Davide Giovanzanalle avusta sekä Paula Salmiselle ja Elina Snickerille mainiosta toimitustyöstä. Otso Huopaniemi’s article describing the 3LD and Prelude.11 performances of love.abz published in Emergency INDEX 2011 – documenting performance annually by Ugly Duckling Presse, Brooklyn, New York.